India's Vinesh Phogat had to be contend with a silver medal in the Asian Wrestling Championship after losing 2-3 to China's a Chun Lei in the summit clash of the women's 50kg freestyle event. India's Vinesh Phogat had to be contend with a silver medal in the Asian Wrestling Championship after losing 2-3 to China's a Chun Lei in the summit clash of the women's 50kg freestyle event. Trailing 0-1 early in the bout, Commonwealth Games gold medallist Vinesh made a strong comeback to score two points and take the lead. But with less than two minutes left, the Chinese wrestler scored two crucial points with an attacking move to regain the lead, which she defended till the end. 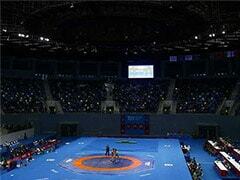 Another Indian wrestler Sangeeta defeated Jieun Um of Korea to win a bronze medal in the women's 59kg freestyle event. 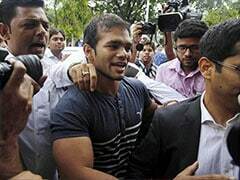 Vinesh and Sangeeta's medals increased India's tally so far in the tournament to four, including two bronze in Greco- Roman events. Divya Kakran could not add to India's tally as she lost her bronze-medal bout to Meerim Zhumanarova of Kyrgyzstan in the women's 68kg freestyle event. Vinesh expressed her disappointment after the loss in the final. "Not entirely pleased with the final result at #Bishkek2018. 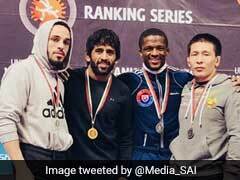 Nevertheless, a good start to 2018, a super important year," the Indian wrestler wrote on his twitter handle. Saying that she will look to work on the shortcomings, Vinesh added, "Some big events coming up, super pumped to make all those opportunities count." Earlier, Vinesh assured herself and India the silver medal by entering the final with a win over Japan's Yuki Irie.